Size of this preview: 709 × 599 pixels. Other resolutions: 284 × 240 pixels | 730 × 617 pixels. 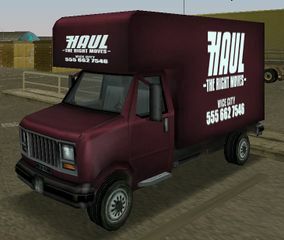 Front quarter view of a Mule in Grand Theft Auto: Vice City. This page was last modified on 12 September 2013, at 20:53.